On average, the East Village is very cool. Very cool! But an average express the central or typical value in a set of data — degrees of coolness, in this case — and is calculated by dividing the sum of the values in the set by their number. 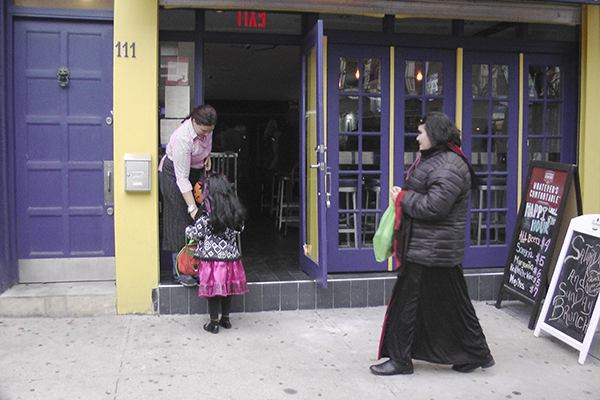 In layman's terms it means some places in the East Village are cooler than others! 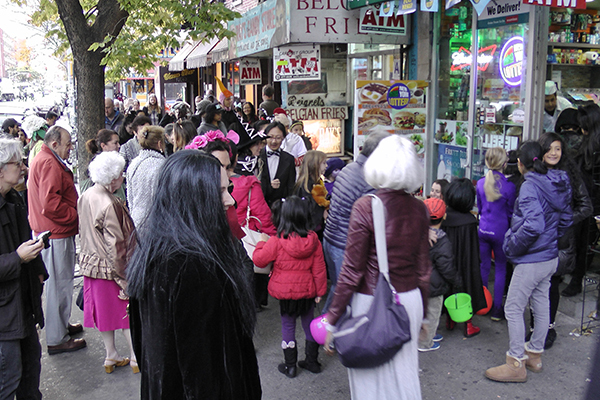 While taking pictures of the young'uns trick-or-treating along the mid-Avenue A corridor, I discovered that range of lesser-coolness! It is with no joy that I must report this to you. 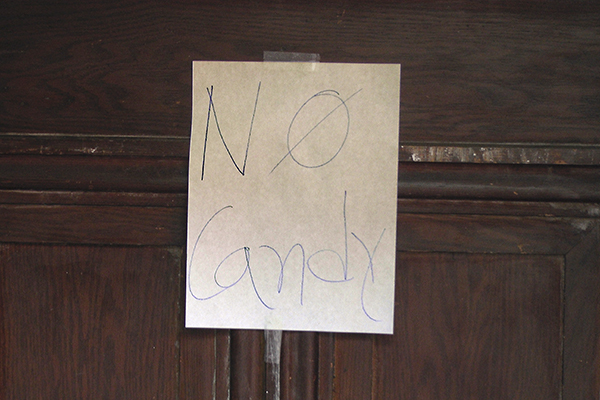 No candy. 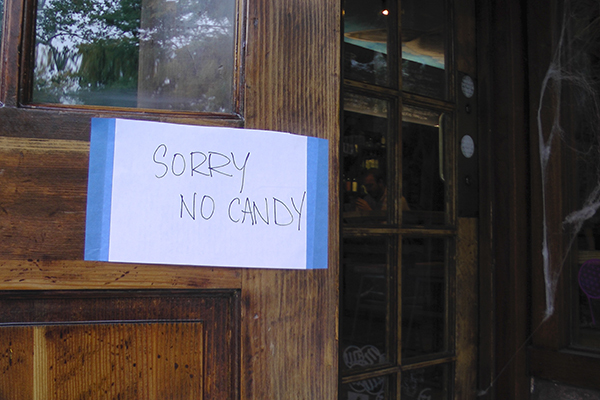 No under 21 entry. 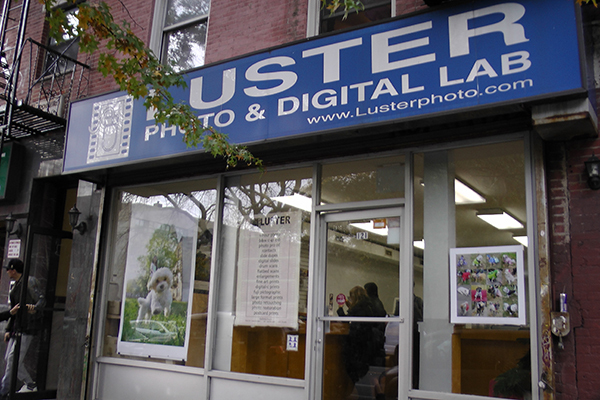 Luster Photo & Digital Lab was dangerously close to being un-beloved — when I passed by, a young'un came out saying "Another fortune cookie!" Trick or treat for fortune cookies! 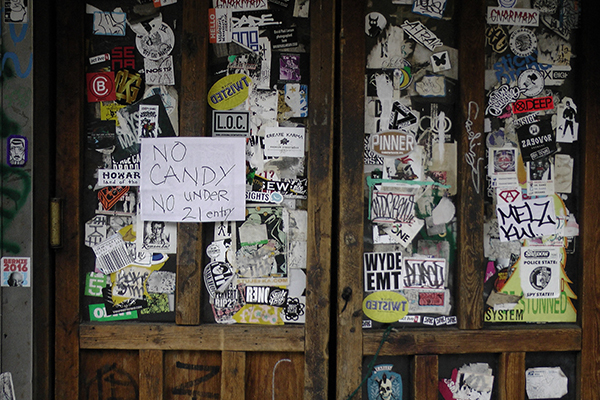 Young'uns outside of Ray's Candy Shop. 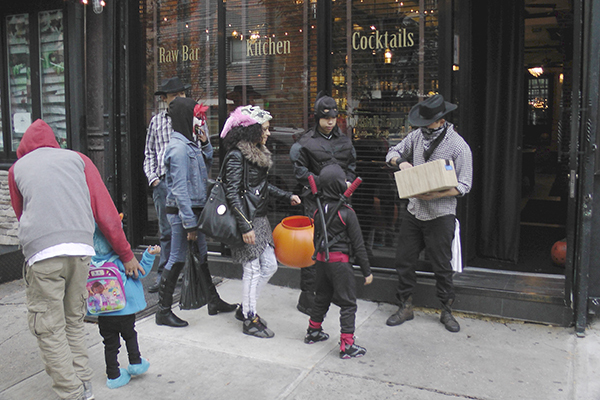 On Avenue C, however, restaurant and bar owners dressed up and went outside to greet the revellers! Yes, Avenue C is cooler than Avenue A, within the spectrum of extreme coolness that is… the East Village Today!